Here at GigMasters, we’re in the business of getting you booked, plain and simple. 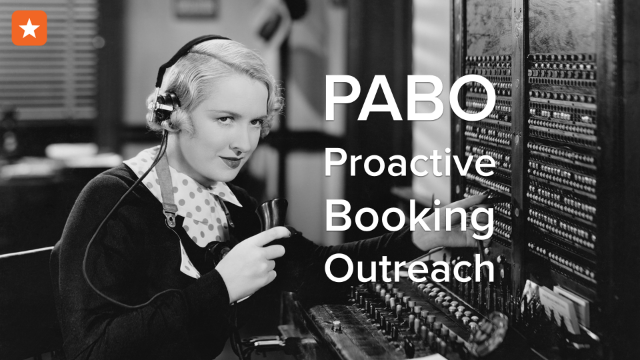 That’s why we’ve created a program called PABO (Proactive Booking Outreach), where we follow-up with all clients who’ve submitted requests, with the goal of helping them book. As part of this program, our Account Specialists help clients understand the booking process and benefits of our Buyer Protection Program. Our amazing team has been relentless, picking up the phone every day and following up with clients, all in the name of securing more bookings for our members. Remember, GigMasters is more than just a website. We are a dedicated team of people who work hard so you can earn a living doing what you love. It just so happens that it allows us to earn a living doing what we love too! If you have any questions about PABO or our booking process, don’t hesitate to drop us a line at info@gigmasters.com. We’d love to hear from you.